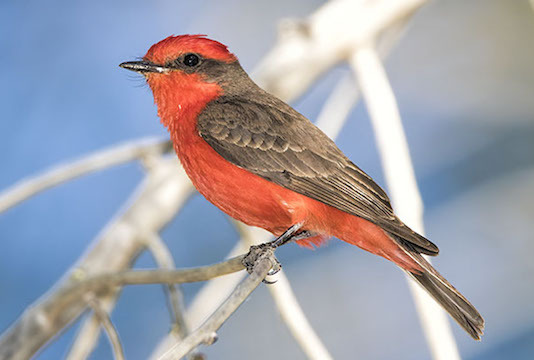 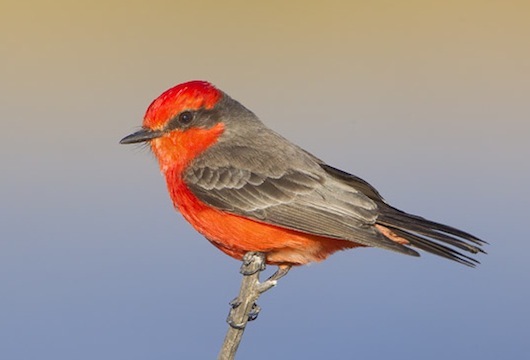 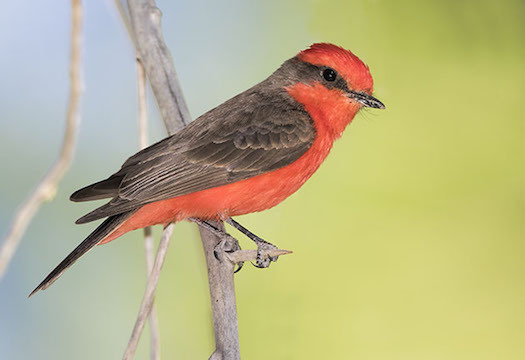 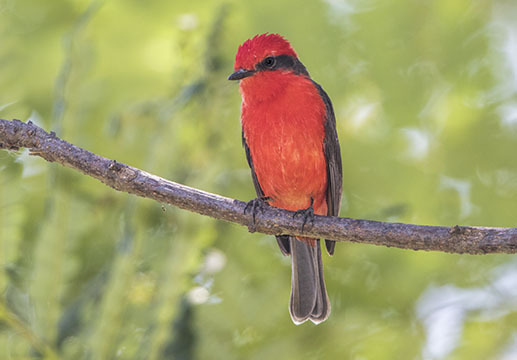 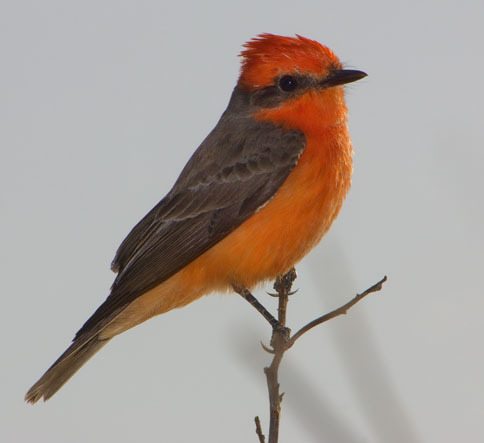 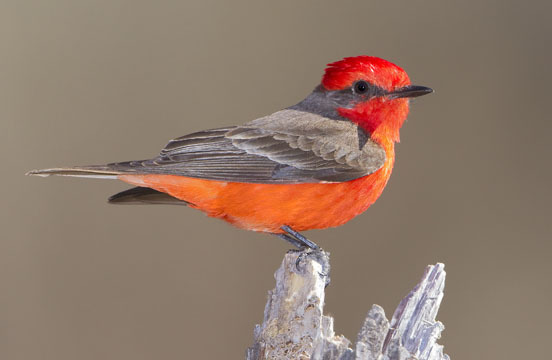 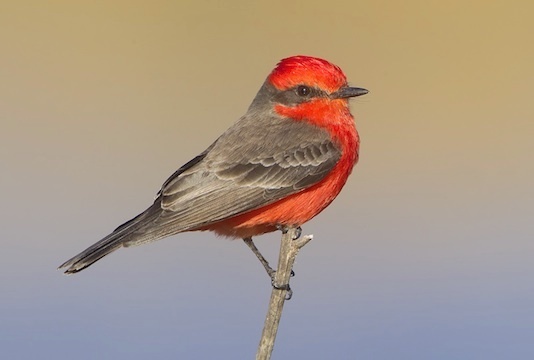 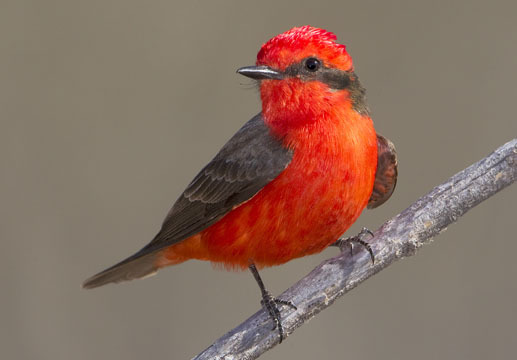 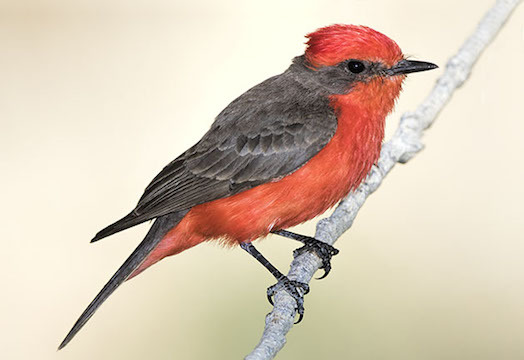 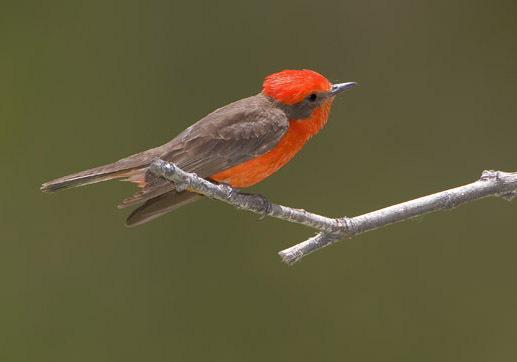 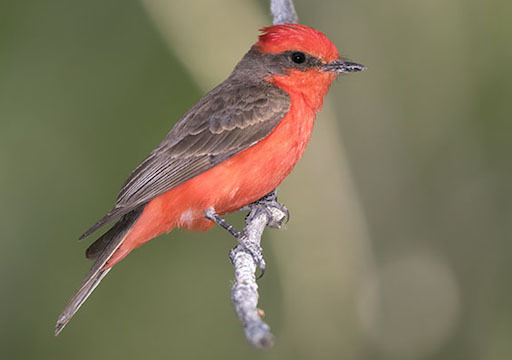 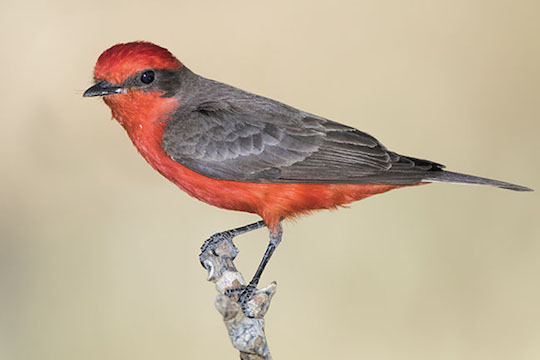 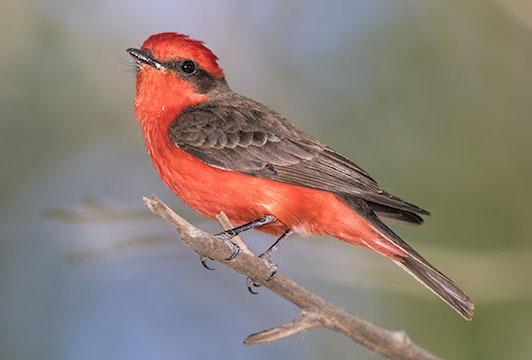 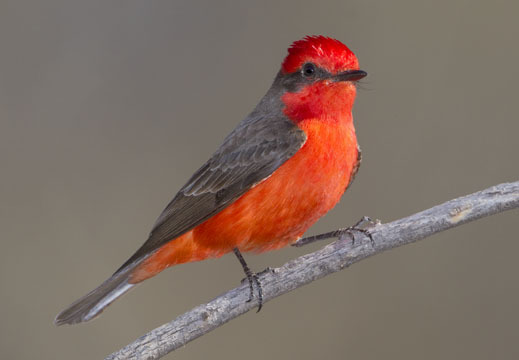 As should be readily apparent from these pictures, male vermillion flycatchers are spectacularly flashy birds of southwestern deserts and scrublands. 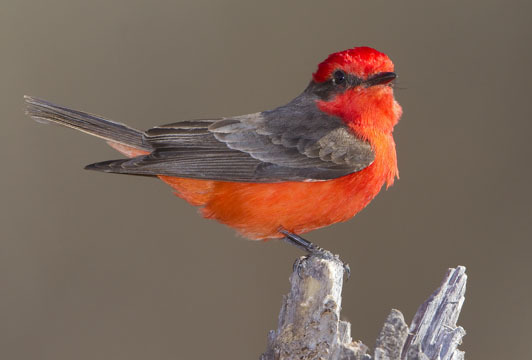 During the breeding season they go out of their way to show off with high, flamboyant display flights advertised with twittering calls. 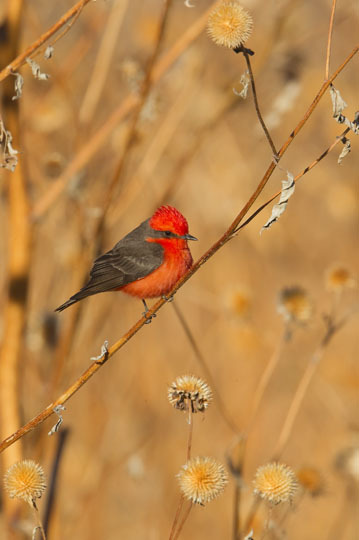 Some of these photographs are of overwintering birds going about their business of catching small insects at the San Jacinto Wildlife Area near Riverside, California. 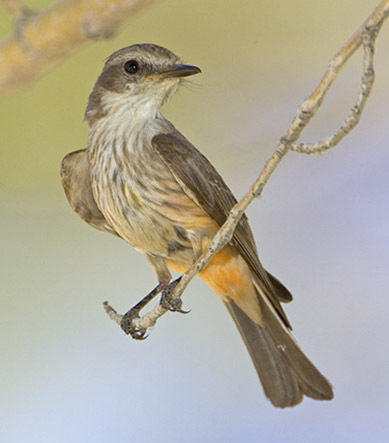 Others were photographed at the Big Morongo Reserve in the California desert and in southeastern Arizona. 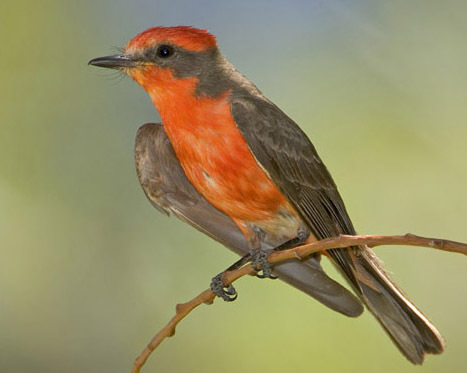 One bird was in Cali, Colombia. 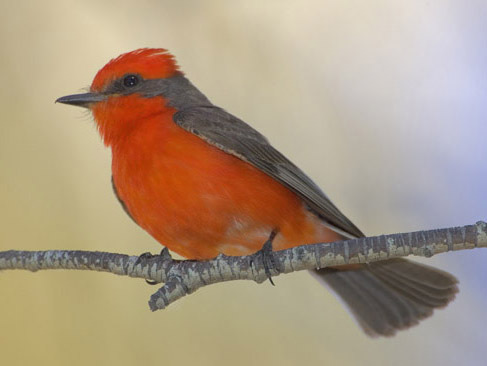 The female has much more subdued plumage, as can be seen in two images -- but she is still a very attractive little bird. 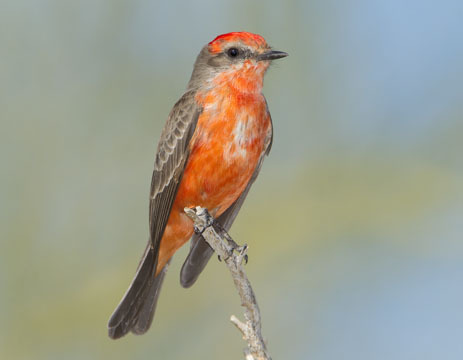 Young males molting into adult plumage can look rather blotchy, as in the photo near the bottom of the page. 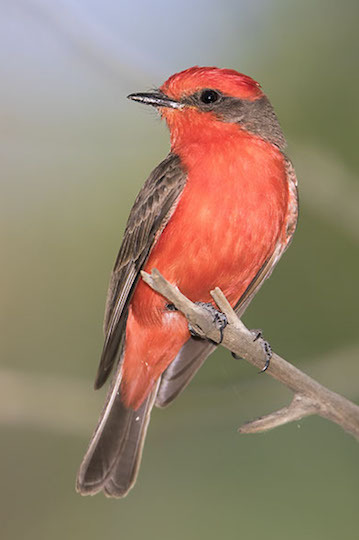 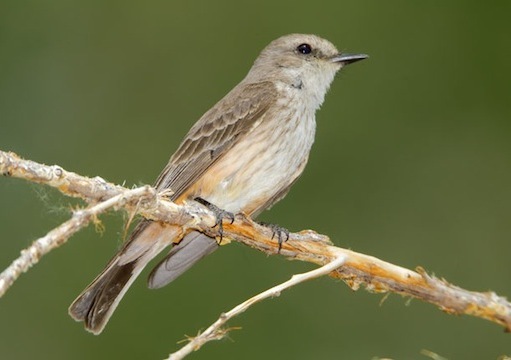 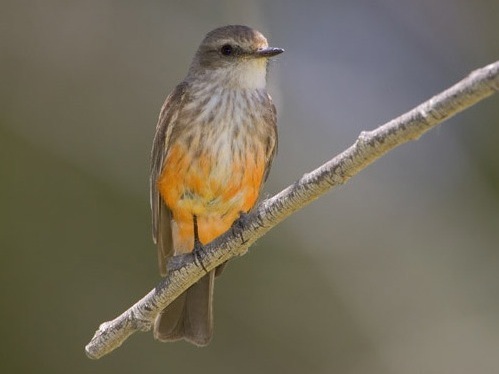 More pictures of vermillion flycatchers are on this page.